Yes, you read it right! the 'King of Pop' Michael Jackson won as President of the Philippines during the mock polls of the Comelec at Robinson’s Place in Manila on Saturday, February 13, 2016. The Commission on Elections was held the said mock election in selected areas of the country in order to give the participants a better understanding on democracy and also to have a test run on the PCOS machine that will be use for the upcoming Presidential Elections 2016. According to the report, the result was only on the above said area and not yet known if Michael Jackson also won in other areas. Comelec showed the receipt of the list of candidates and Jackson garnered 20 votes at the 5th district precint while the singer Justin Bieber placed second at 15 votes. For vice presidential candidates, singer Ariana Grande won the position with 12 votes and tied for 11 votes, Alicia Keys and Avril Lavigne. Then the top partylist representative with 5 votes is Air Supply out of the 150 groups listed in the ballot. The Board of Election Inspectors (BEI) immediately posted the results right after the voting closed at 12 noon. What do you think on the upcoming elections? Share your thoughts below. 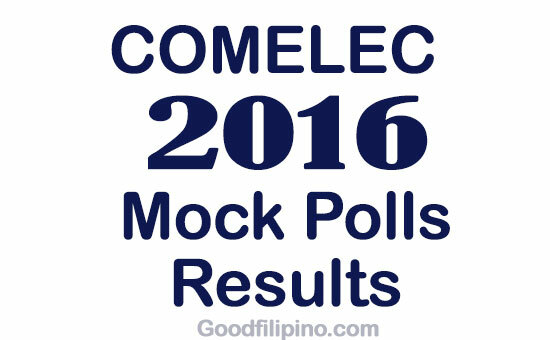 Comments or suggestions about "Comelec: Michael Jackson won on Philippines mock Elections 2016" is important to us, you may share it by using the comment box below.